Are you planning to open a 7-eleven franchise or other types of convenience stores? Then you will most likely need a place and a few containers to store the bulk goods to keep in the back room. Depending on the size of your shop, you might need various sizes of containers too for storing small things like candies or pencils. In this case, some 6.5 gallon square EZStor bucket will definitely do. Quick-selling stuffs like candies and lollipops need to be stacked up in the storage room of a convenience store. It will especially be useful if your container is equipped with a hinged lid for easy and frequent dispensing or refilling. 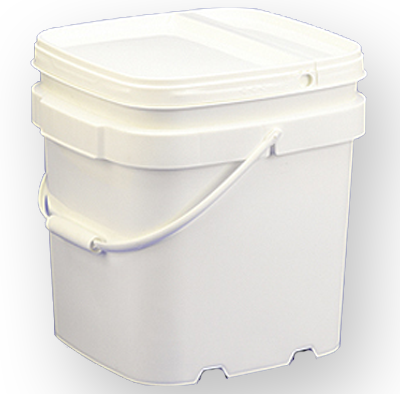 This makes our EZStor 6.5 gallon square pail a top choice for the storage container of your small-sized merchandises. Why? Because as you purchase a set of 6 pails, you do not only buy the pails, but you also get the removable and reclosable hinged lids! 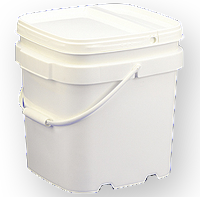 Made of FDA-approved, food grade plastic material, the 6.5 gallon square buckets are totally safe for storing foods and other edible materials. They also come with handles for easy removing and carrying as you reorganize your storage room. The square shape also gives advantage of better organization and it also saves space in the possibly small back room. So if you are serious about opening a convenience store, you'll definitely need to have the 6.5 gallon square pails. Check them out now!